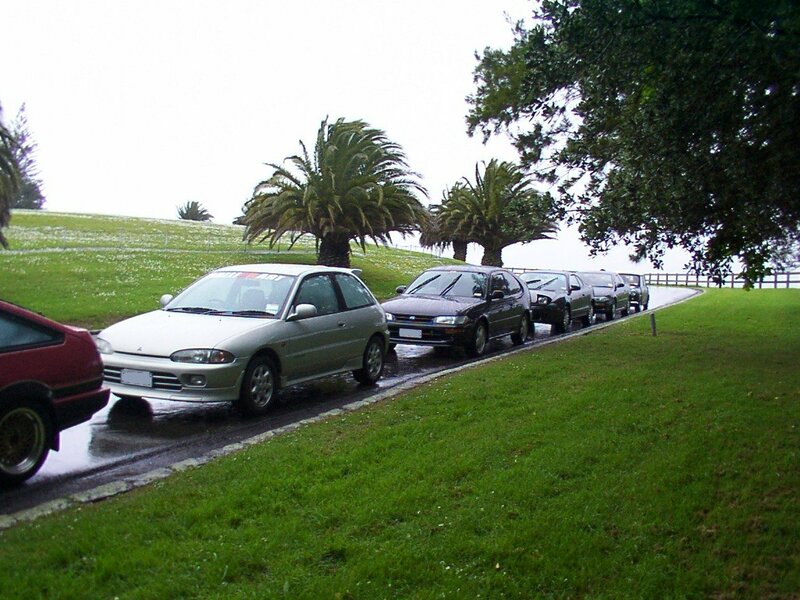 Pics from the Toyspeed Auckland Meet, 13 October 2001. Piha cruise! Cyborg (Mitsi? wtf? 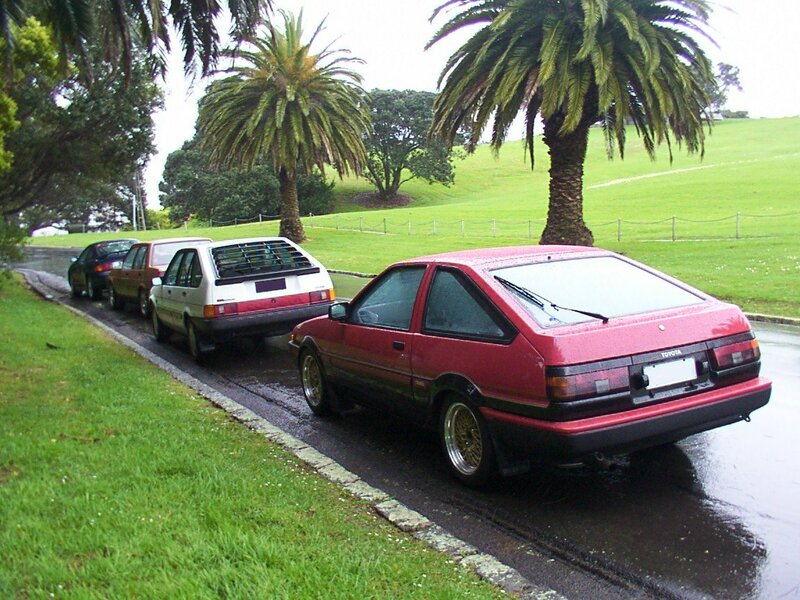 ), FXGT Corolla, Celica, Trueno, Mini? !